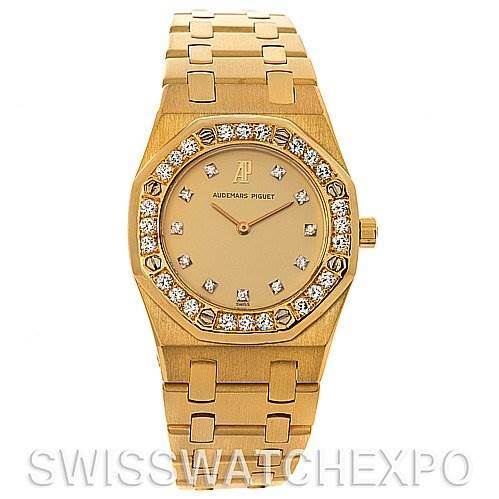 Original Audemar Piguet brushed 18k yellow gold case 26.0 mm in diameter. 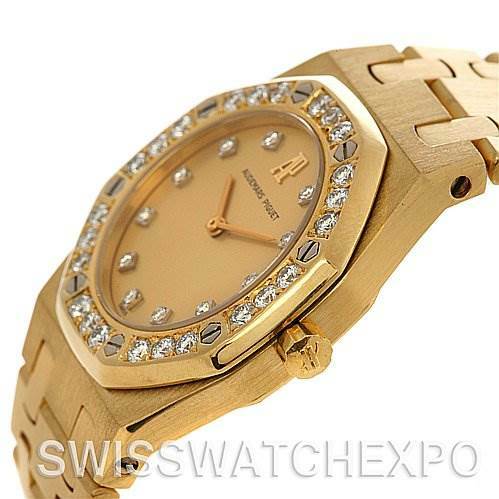 Original Audemar Piguet 18k yellow gold diamond bezel punctuated with 8 signature screws. 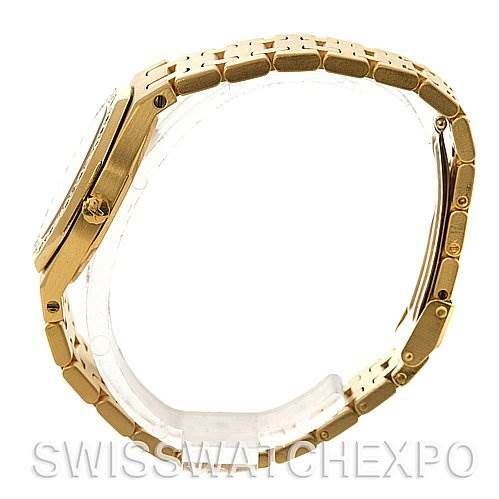 Original Audemar Piguet scratch resistant sapphire crystal. 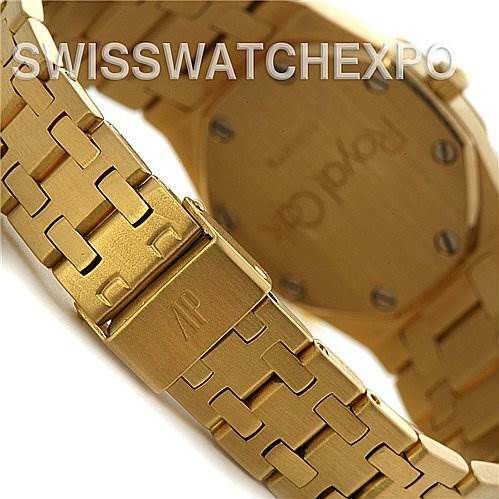 Original Audemar Piguet brushed 18k yellow gold bracelet hidden deployment clasp. Fits 6 3/8" wrist. 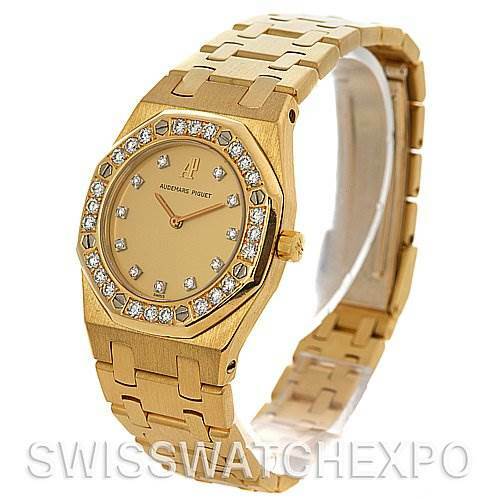 Audemar Piguet Royal Oak 18k Gold Ladies Watch . Quartz movement. 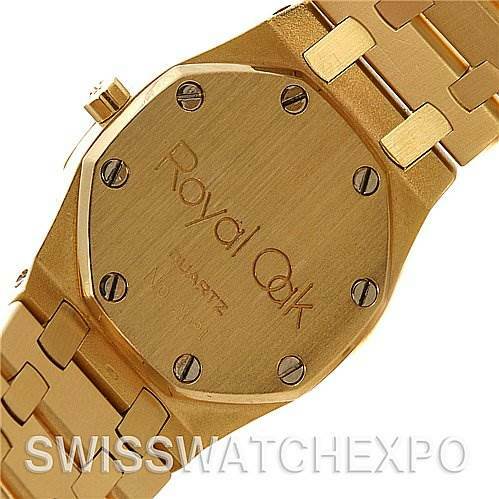 Brushed 18k yellow gold case 26.0 mm in diameter. 18k yellow gold diamond bezel punctuated with 8 signature screws.Scratch resistant sapphire crystal. 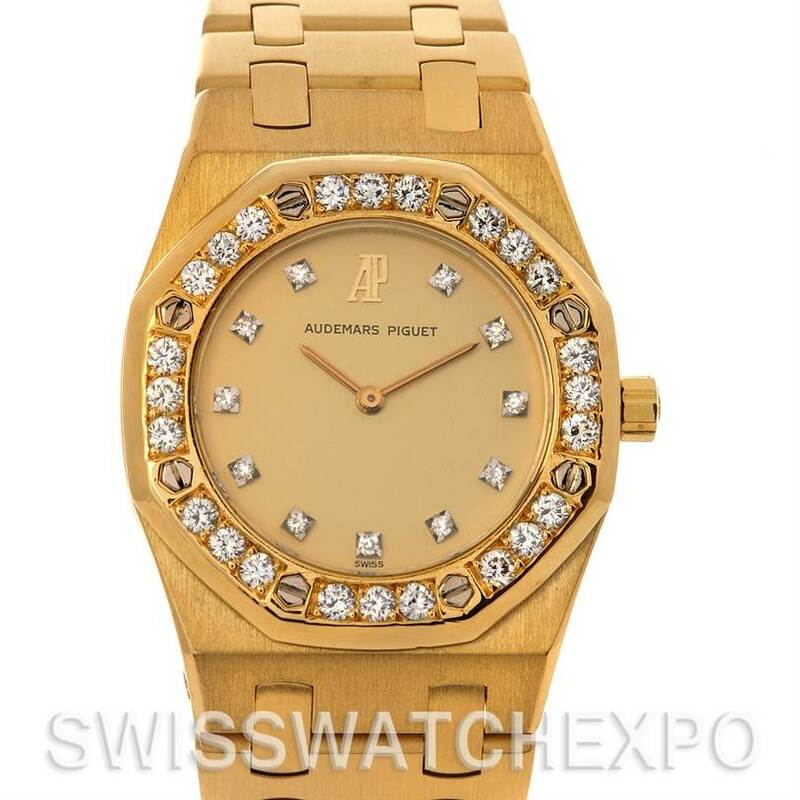 Champagne dial with original Audemar Piguet factory installed diamond hour markers. 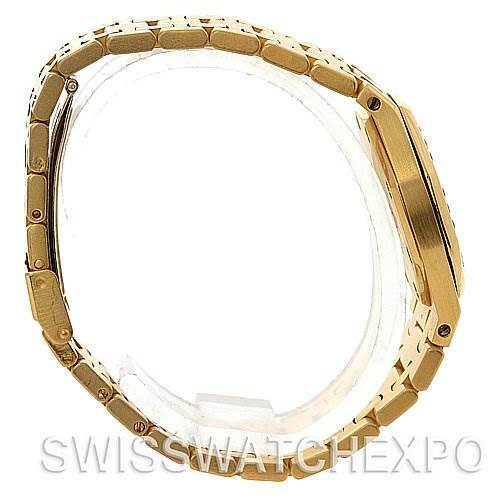 Brushed 18k yellow gold bracelet hidden deployment clasp. Fits 6 3/8" wrist.